What is a Social Media Investigation? A social media investigation looks into the social media posts, status updates, photos, and conversations of an individual. You might require a social media investigation for a court case, custody battle, or as part of a background investigation. This can be used as evidence in court cases to support alibis and provide supplementary evidence, for risk assessment, and for active monitoring. If you are looking for a catfishing investigation, read Catfishing Investigation Tips: Risks, Signs, and What To Do. Why Do I Need a Social Media Investigation? Social media investigations are commonly used during court cases to provide information relevant to a case, to supplement evidence, establish character, support or disqualify an alibi. 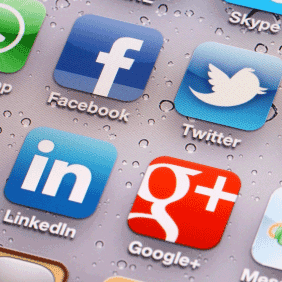 Social media is being used more and more in custody cases, divorces, and even criminal trials. You also might need a social media investigation as part of a background check or risk assessment. What Happens During a Social Media Investigation? In a social media investigation, a private investigator will search for key terms and posts relevant to the goals of the investigation. In most cases, they will use high powered software to search, monitor activity, and set up alerts for new posts and account creations. The private investigator will walk you through the process, make sure they understand your goals and move forward in the best way for your case. What you're searching for will depend on the investigation. For the average court case, social media can be searched to establish a foundation of character, verify or disqualify an alibi, and find supporting evidence. This includes looking at the location tags for Facebook, Twitter, and Instagram posts, verifying that the posts were original, and identifying what other individuals associated with the case are involved. For some investigations, like for crimes against minors, alerts and searches can be set up for specific search terms, and it can be discovered what type and age of individuals the person is interacting with. For a domestic investigation, you might search for photos of your partner that support your suspicions of infidelity, or check the location data on posts on Twitter to verify he or she is where they say they are. Internet messaging, Facebook messages, and Twitter direct messages can also indicate whether or not the individual is staying faithful. A custody case can involve looking at photos posted across platforms to identify who the individual is associating with. Twitter posts could indicate whether the individual is suited and trustworthy for retaining custody, and a Tumblr investigation can reveal the individual's priorities, thoughts, and intentions. Any case involving possible drug use can mean searching for photographs and posts across platforms that would indicate potential drug use, as well as a search for Tumblr posts of images or comments, reblogs, that support drug use. This type of investigation includes searching and setting up alerts for specific terms relating to drug use. In some cases, a sting can be set up to see if, through internet messaging services, the individual is dealing or affiliated with a dealer. Why Should I Get a Private Investigator for a Social Media Investigation? While anyone can conduct a social media investigation, private investigators have access to high-powered software that makes for a quicker, more efficient search. Professional investigators also have a strong understanding of ethics and know what data must be pulled for evidence to be admissible in court. This means they are well-versed in metadata, MD5 hash value, what is required for provability, and the rules that dictate what level of searching, friending, and following is allowed, depending on the case. Additionally, if you conduct a social media investigation on your own you could see your evidence, or even your case thrown out of court. Becoming a Social Media Investigator: Do You Have What It Takes? Use the search utility on the top of this page or select from the state list to find a Social Media Investigator. Still can't find what you are looking for? Call us at (888) 997-4669.